We have no generic plans for building houses. Instead, we usually offer the estimated price of the specific construction cost for each customer. We first listen to the request from the customer, and then, design the house and decide on the building plan. After that, we offer the estimated price to the customer. This procedure is always the same for us, even if the request comes through the designer. 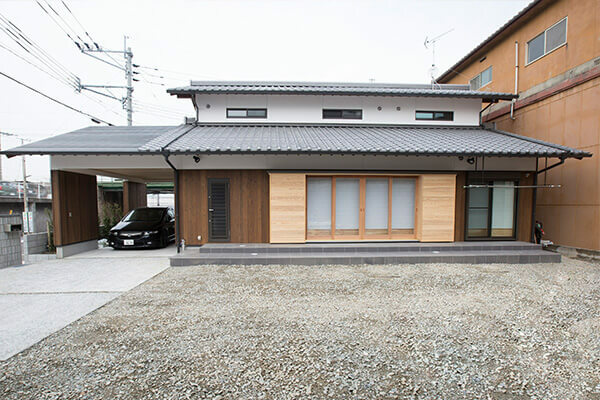 By our empirical rule, when the total floor area is 40 tsubo or wider, the construction cost becomes 800,000 yen per tsubo. ‘’Tsubo” is a traditional unit of area, approx. 3.31 square meters. The smaller the total floor area is, the higher the unit price will increase. After repeated discussions with the customer, the estimate of the construction cost may become higher or lower. We will give you an overview of the results we have constructed so far, please refer to it. The above construction costs include only the main body construction amount. Exterior construction (parking lot, garden etc. ), overhead expenses (water supply subscription money and registration fee etc.) are not included. The smaller the construction area, the higher the unit price. On the contrary, the larger the construction area, the lower the unit price. 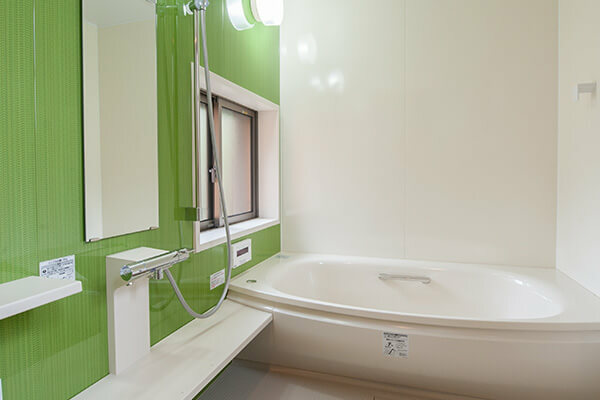 One of the reasons is that equipments such as a kitchen and a bath will cost the same, regardless of the size of the house. Another reason is that even if the floor area becomes narrower, the wall area does not decrease much. 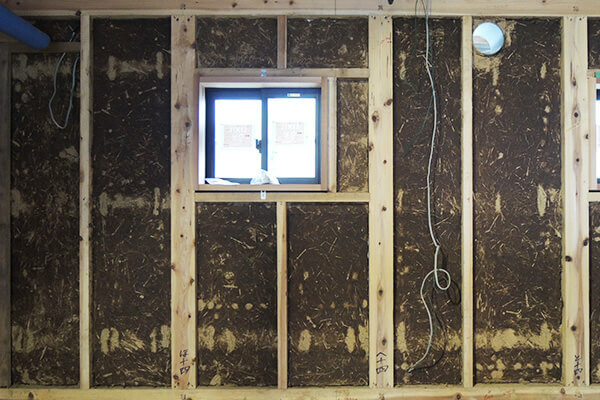 If the materials used are expensive, construction costs will naturally increase. 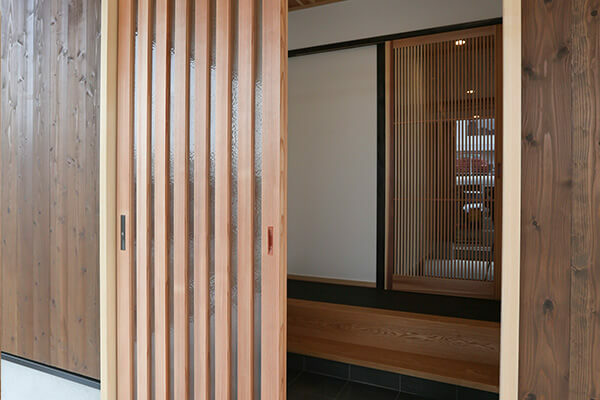 In particular, the grade of wood is not largely influenced to the amount, except for building a “sukiya” architecture. In the first place we do not suggest a low grade wood. Approximately 15% to 20% of construction cost is an indication of wood cost. Depending on the situation of the building site and the circumstances of the surrounding transportation condition, additional work may be required, and the material loading to the site may become expensive. 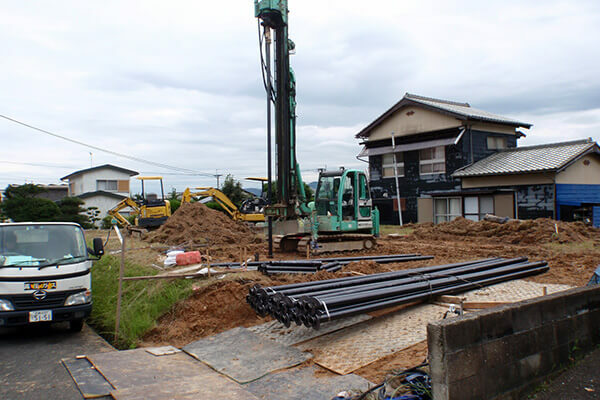 Especially, if the building site is on a weak ground, the ground improvement and pile driving construction should be needed. In addition, it is very influential in construction costs whether there is water supply or gas retraction or not. In case the customer purchases ready-made furniture, the furniture price will, of course, not be added to our construction cost. When we are asked to make built-in furniture, the making cost will be included in the construction cost. The built-in storages in the kitchen and a shoes box are usually asked us to make. We occasionally receive a request for making a dining table or a PC desk. We recommend the customer to build wooden fixture for all inside the house, and for the entrance and sweep windows of the living room. The construction cost will depend upon whether you use wooden fixture or aluminum sash. 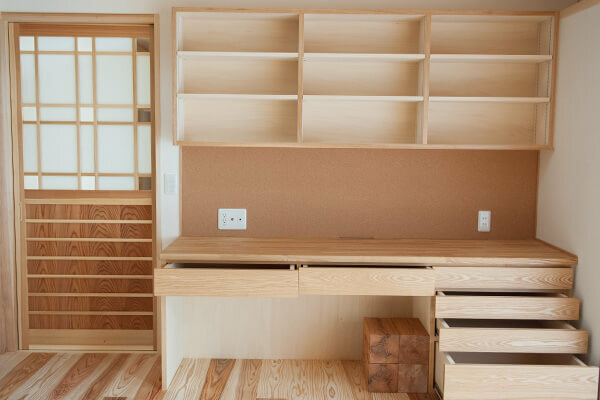 In addition, the number of fixtures to build, such as building inner shoji inside a window, also greatly affects construction costs. Earth walls are constructed in most houses built by us. In addition, you may also choose the “Itakura” construction method.  The “Itakura” construction method has the merit of being able to reduce the construction cost more than the earth wall style. If you keep in mind the above as a guide, it will be a criterion for estimating the construction cost. In case the construction estimate is higher than your budget, please do not hesitate to consult us. We recommend not reducing the construction budget, but reducing the construction area.